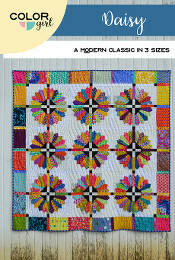 The classic dresden plate quilt design gets a cheery update with Daisy! 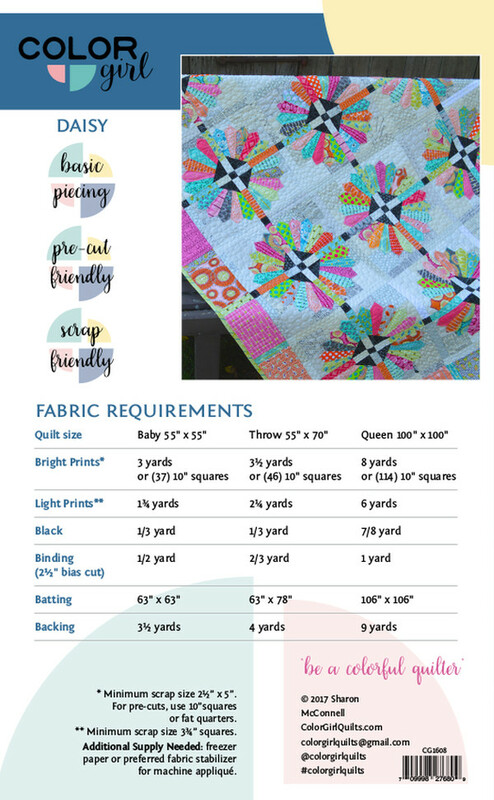 Try your hand at easy machine appliquÃ© and sew up your favorite fabrics and scraps into a dynamic and versatile quilt that is sure to make you smile.The Daisy quilt pattern includes three size options from baby to queen and fully illustrated instructions to sew this happy quilt in your favorite colors. 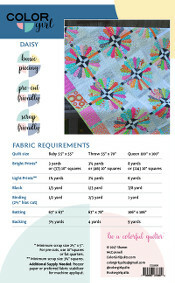 Pattern is pre-cut friendly ideal for squares and small cuts and scraps for maximum scrappy goodness. 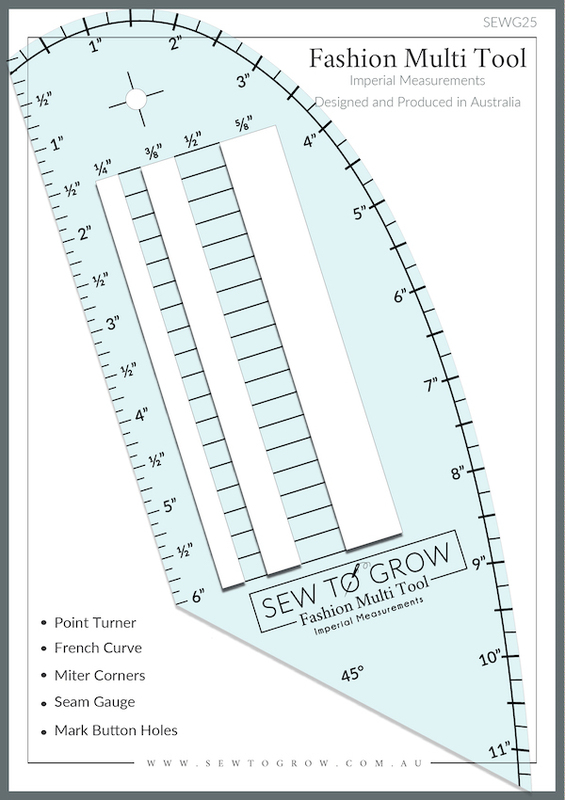 You may use the template included or a commercially available Dresden tool.